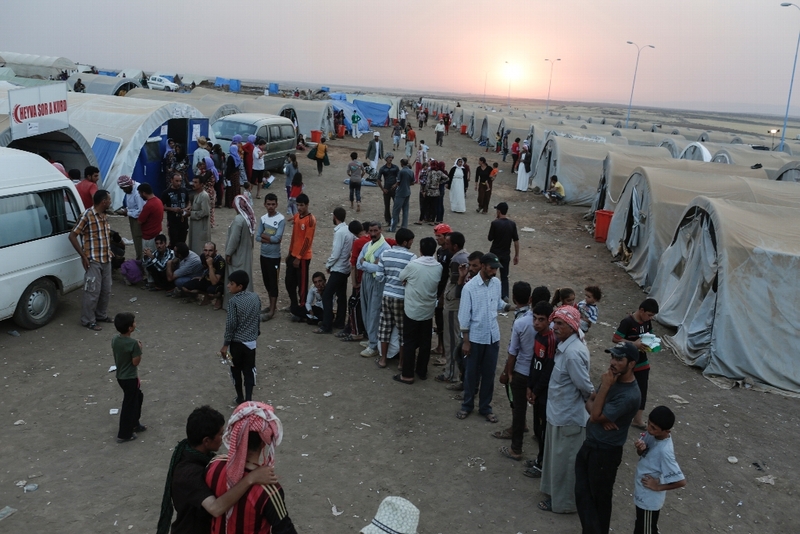 Help CRS bring desperately needed aid to people living "the worst refugee crisis since WWII". Conflict in Syria and escalating violence in Iraq have forced many families to flee their homes. The number of refugees and migrants in Europe surpassed 1 million in December 2015. CRS has helped more than 925,000 Syrians since the war began. You can help. Please consider setting up a page to raise money that will directly fund our emergency efforts. Your support will ensure that we can provide immediate assistance to these families, including food, water, and access to sanitation, legal services and medical care. Creating your page takes just a few minutes. Set your goal, email your friends and family, share on social media and watch while your compassion grows into generosity that saves lives and eases suffering for refugees fleeing the Middle East. Your support will strengthen our response to the refugee crisis.